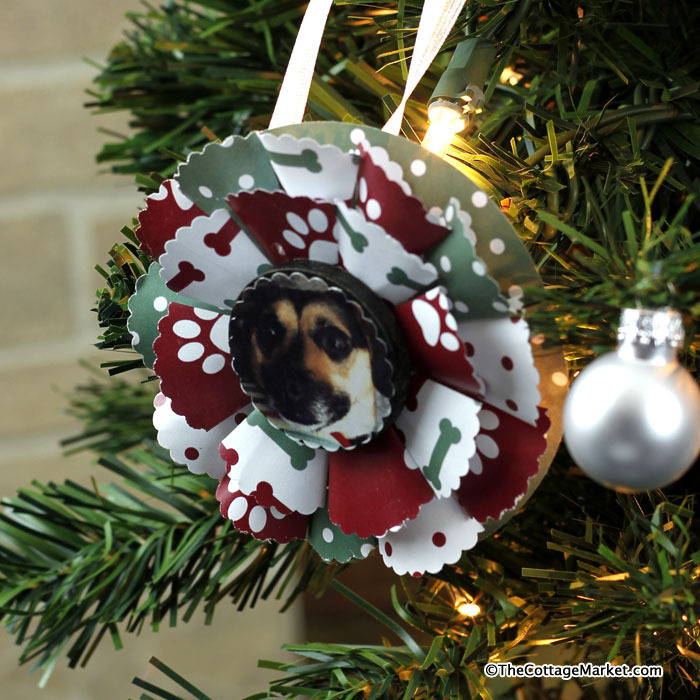 I am so excited about sharing a Handmade Ornament with a group of 31 fabulous bloggers! 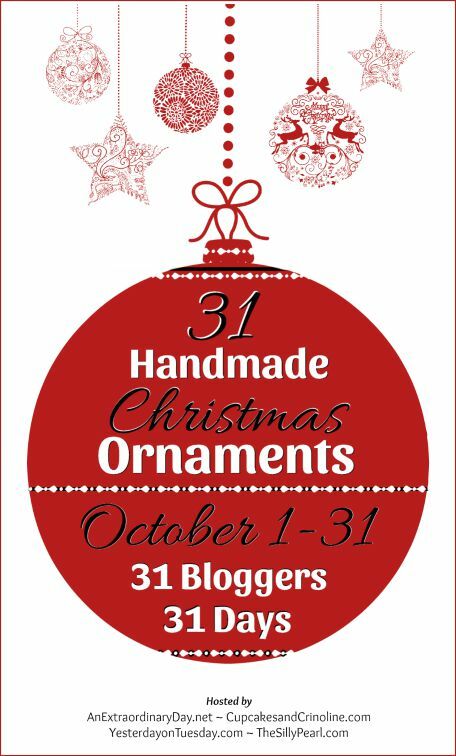 That’s right…31 days of handmade ornaments…you will find the whole list below and trust me…you will want to visit them all for fun and fabulous DIY Ornaments and tons of Holiday Inspiration! 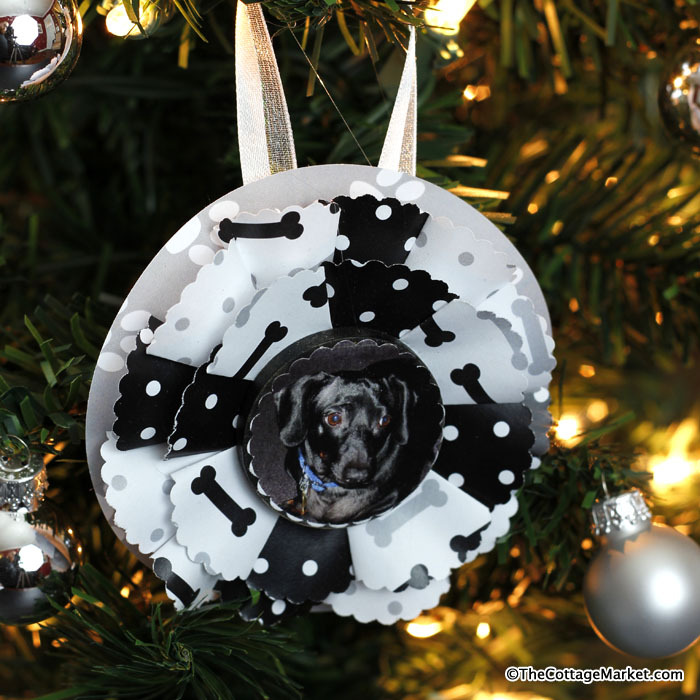 As many of you probably would have figured…I did a Pet Ornament…plus I have included a variety of free printable craft paper that you can use to create them with! Sure hope you enjoy! 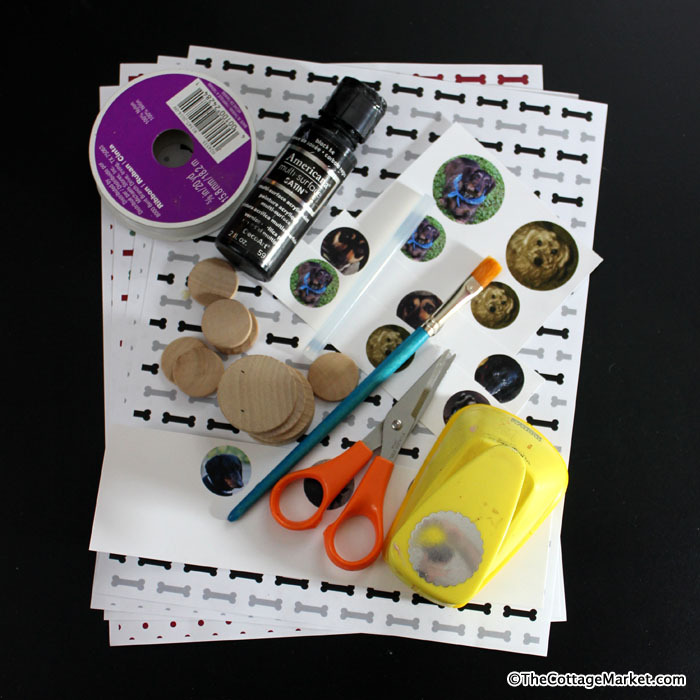 Let’s start with the Supplies: You will need some ribbon, sized pictures of your pets, a brush, a scissor, a brush, a punch (or you can hand cut with a scissors, glue such as Mod Podge…hot glue…wooden round discs or cardboard round discs and some pretty scrapbooking paper and we have provided you with two different color palettes and you can download them right here. 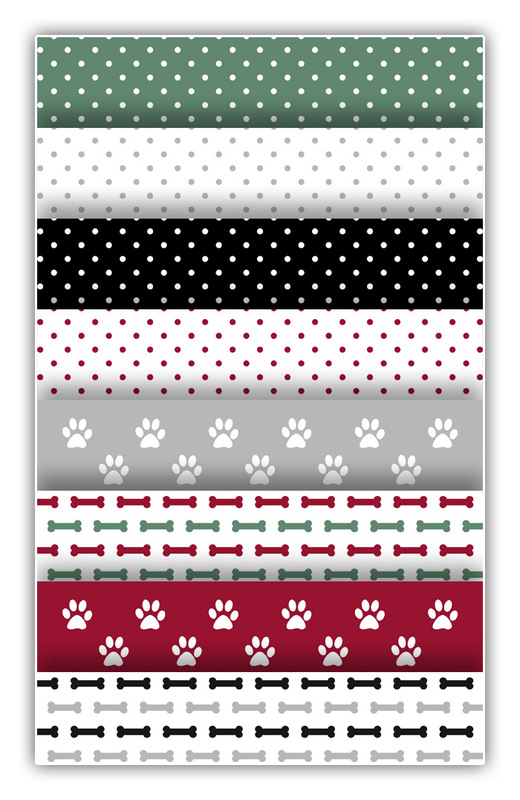 Here are the paper that we made for you to work with…just download this zip file and they are all ready to print! 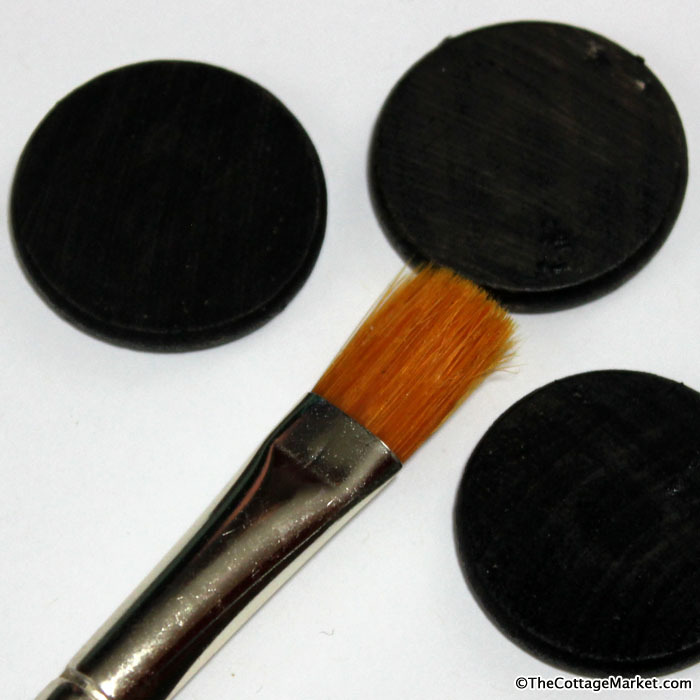 Time to paint your wooden discs…any color you would like to compliment the paper that you are using. 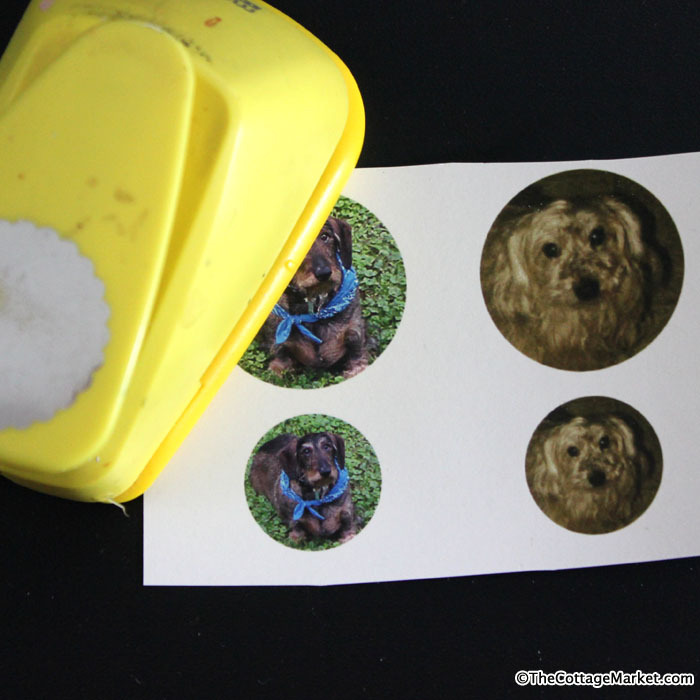 After you size your pets pictures (I used 1 inch and 1.5 inch circles) you will have to punch them out. Punch many many 1.5 inch circles (or any size you choose to use)…all different patterns so you can make your little cones. It all depends on how many ornaments you are going to make…how many circles you punch. Then it is time to make your little cones. It is easy as 1 2 3. Take the circle and fold as shown…then fold the other side…then put a little dab of hot glue to close the cone…repeat…repeat…repeat… It’s that easy! 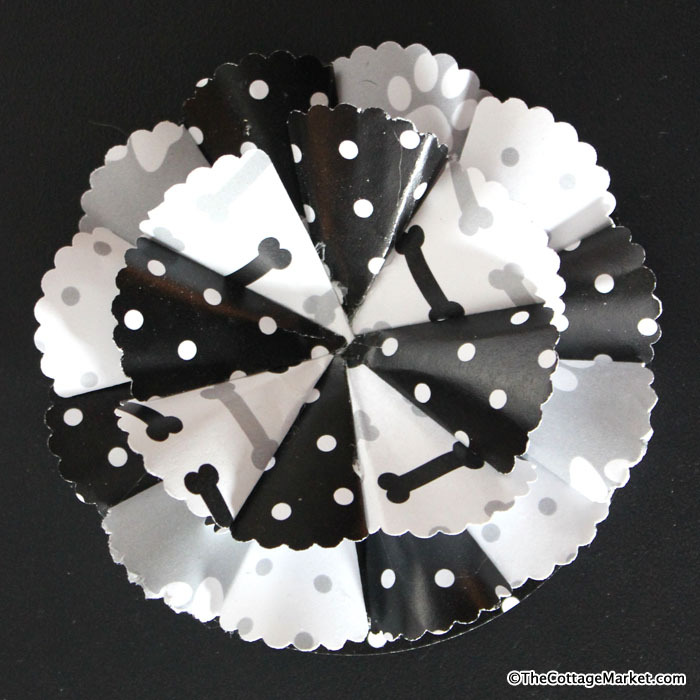 You will also need a 3 inch round circle as your base…you can punch it or simply measure it and cut it out. Now it is time to start assembling the ornament. What I did is made two layers that I glued together when they were completed. Taking a 1.4 inch circle and drawing a circle with in the middle of the circles as shown. I used that as a guideline as where to glue my cones. Just keep gluing them on till the entire circles are complete. 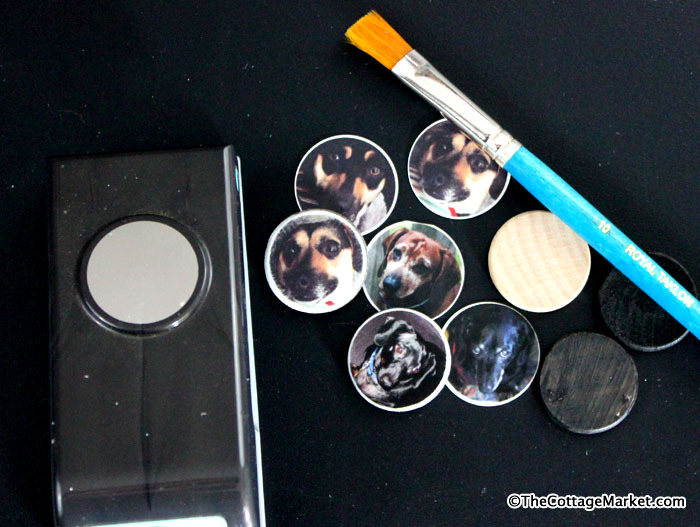 Time to glue your pets pictures onto the painted circles. 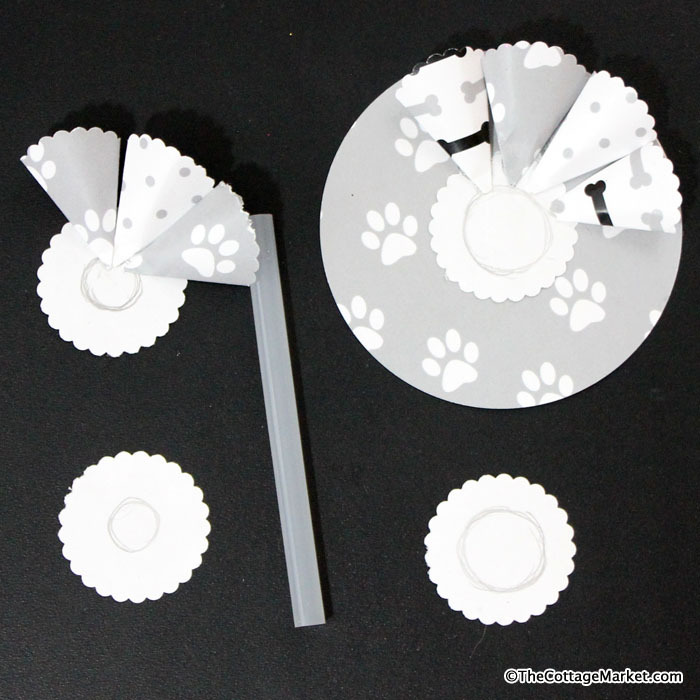 Now simply add some hot glue in the back of the disc and place in the center of the ornament…pressing till it is adhered. 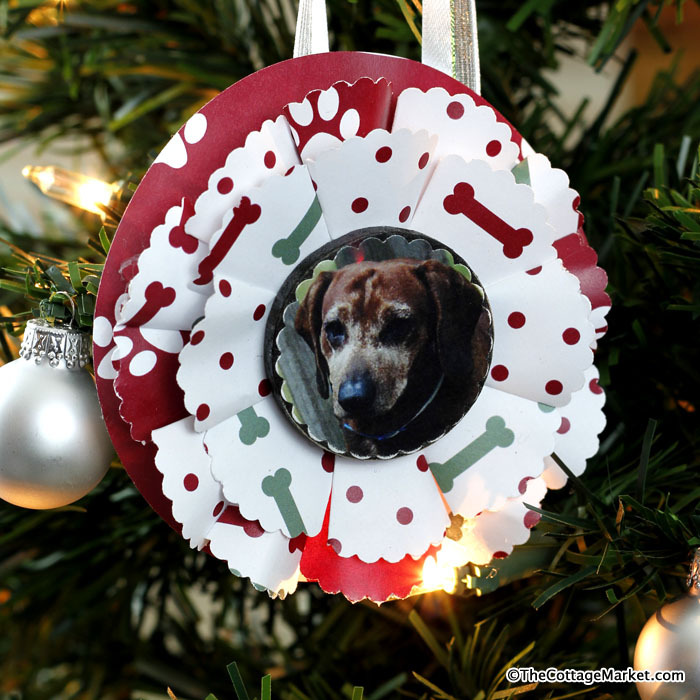 Glue a ribbon on the back or punch a hole and thread the ribbon and your ornament is ready to hang! So many different uses and you can use these all year round too if you would like! 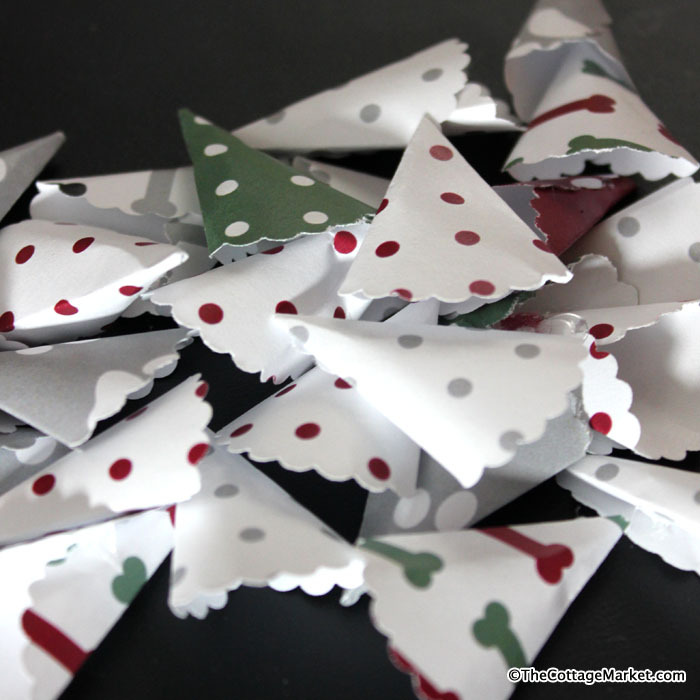 Sure hope you enjoy this little DIY and hope you make tons of these little cuties! 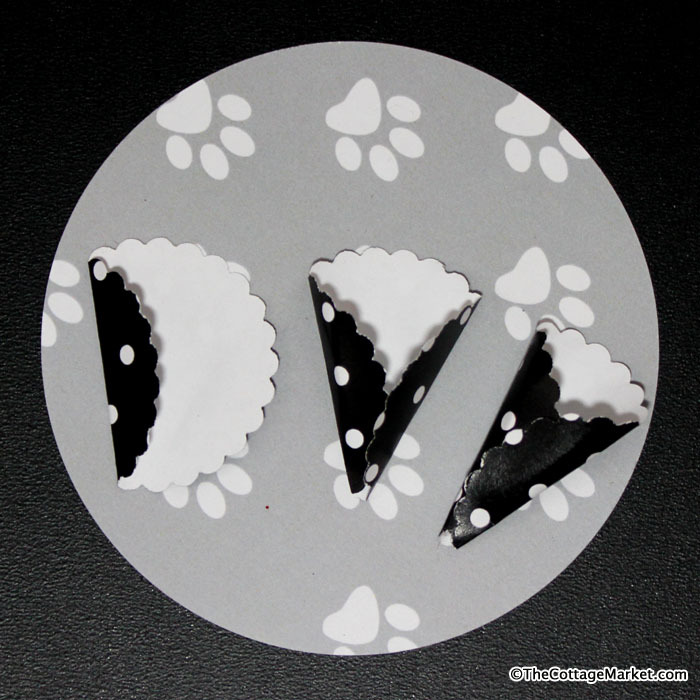 You can add your own little embellishments…the sky is the limit! Here are the papers that you will be able to download…FREE!!! 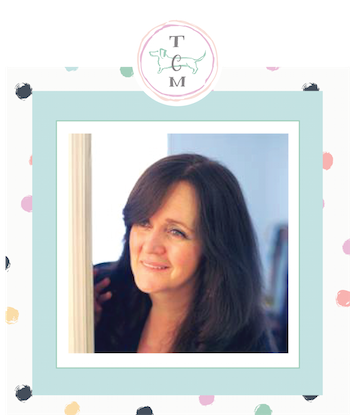 Time to visit all of my friends fabulous creations! 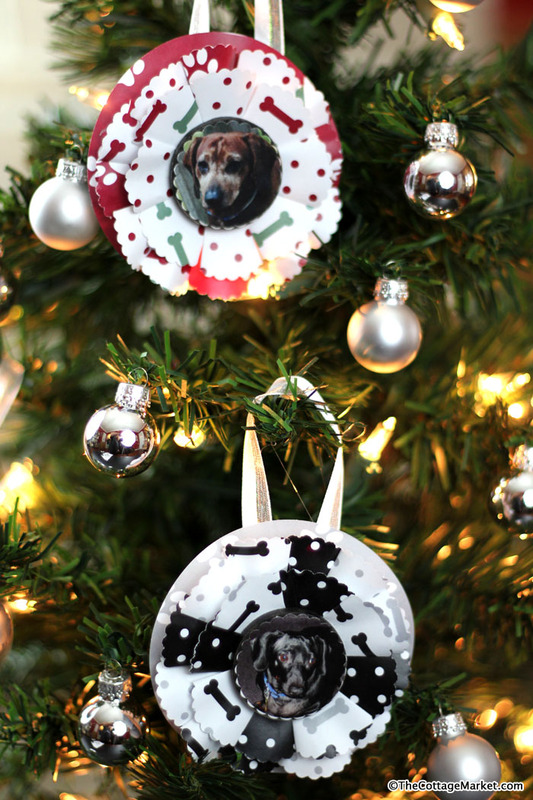 this is so cute, I”ll have to make it for our pups! Oh my gosh Andrea you have outdone yourself! This is the cutest ornament ever! Oh these are SO cute! Gotta make a couple. 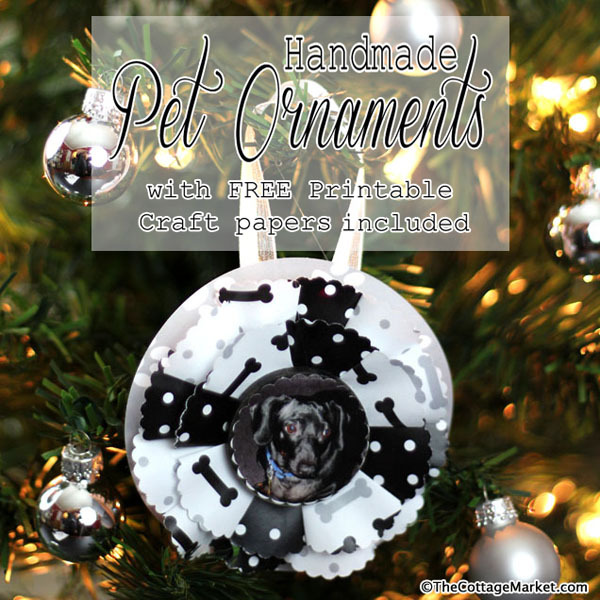 The perfect gift for some pets I love! Oh my! These are absolutely precious!! 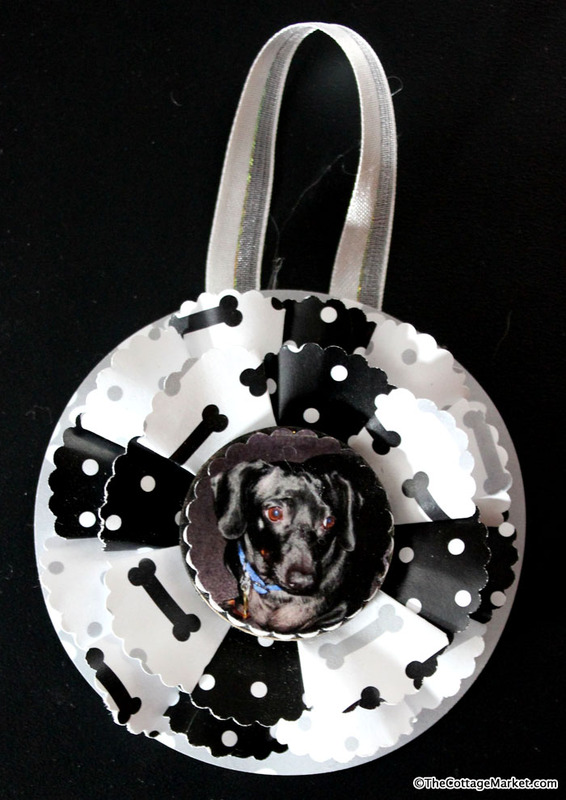 I need to make my own with my dog’s picture and I need to make two more for his “grandparents”. 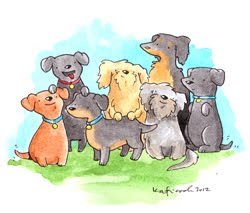 Awh, what a sweet idea for people with pets, I have a good friends who has 5 lerchers and greyhounds, she would LOVE this, thanks.